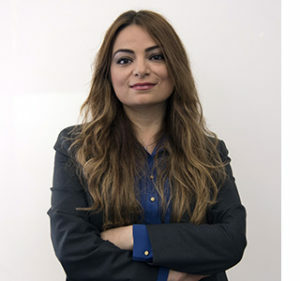 Feyza Engin is an Assistant Professor of Biomolecular Chemistry, and Endocrinology, Metabolism and Obesity at the University of Wisconsin-Madison. She obtained her pharmacy degree from Istanbul University and moved to the States for her graduate studies. Feyza received her Ph.D. in Genetics at Baylor College of Medicine under the guidance of Dr. Brendan Lee, where she demonstrated for the first time that Notch signaling has dimorphic effects in bone development by affecting both the terminal differentiation of osteoblasts and osteoblast-dependent osteoclast activity during skeletal development, and that dysregulation of these programs leads to bone disorders including osteoporosis, osteosclerosis and osteosarcomas. Following completion of her graduate studies she joined to the laboratory of Dr. Gokhan Hotamisligil at Harvard University for her postdoctoral studies and demonstrated that Endoplasmic Reticulum (ER) stress and the unfolded protein response (UPR) has a critical role for β-cell survival for both in mice and humans and that administration of a chemical chaperone can greatly reduce diabetes incidence in mouse models of type 1 diabetes when applied at pre-diabetic stage. Her study combined data from animal models and human patients, and indicated the presence of aberrant UPR during disease progression. In addition, it supported the notion of β-cell preservation through the use ER modulating agents as an alternative translational strategy. Feyza is the recipient of the Young Investigator Award from the American Society of Bone and Mineral Research, Career Development Award from Juvenile Diabetes Research Foundation, a Research Scientist Development Award (KO1) from National Institute of Health and a Shaw Scientist Award from the Greater Milwaukee Foundation. She also serves as Postdoctoral Association Faculty Advisor at UW-Madison.